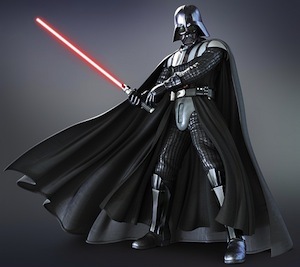 Darth Vader is leader of the Empire and has led his Stormtroopers to rule over star systems, galaxies and has become one of the strongest forces in the galaxy. He has mastery over the dark side of the force. In his final battle with Luke Skywalker he turns to the light side to save his son from the Emperor. Darth Vader is an iconic character in Star Wars and is brought up again in The Force Awakens when Kylo Ren stares at Darth Vader’s helmet. 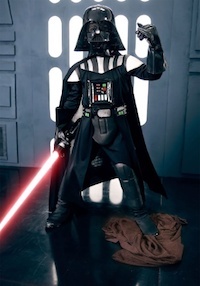 Find Star Wars kids Darth Vader costume ideas. Be ready to absolutely fall in love with the dark side of the Force with this Toddler Darth Vader costume. A black polyester jumpsuit (complete with Velcro diaper access) has embroidered designs for the Squish Lord’s biomechanical control panels. The cape attaches with Velcro and the hard and intimidating helmet is even made snuggly worthy by being made of felt. It’s comfortable with a soft jumpsuit and a structured foam chest piece featuring Vader’s important life support tech. You’ll also get thigh and arm guards, a high tech looking belt, and the intimidating black cloak. 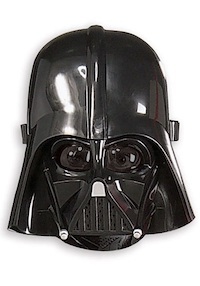 Of course, no Darth Vader costume would be complete without his classic helmet. This particular one comes in mask form, no breathing apparatus needed. 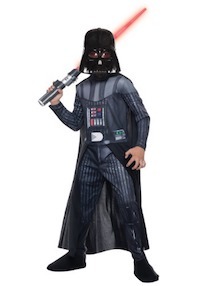 Click here to get Star Wars Kids Darth Vader Costume. Don’t sacrifice your comfort to dress to impress as Darth Vader this Halloween. We know you’d rather not walk around in a metal power suit (your makeup is on point, so why would you?). Don’t go slashing things with that lightsaber just yet, lady! We’ve got the hookup. 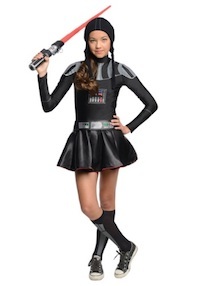 Slip into this Darth Vader dress costume, featuring a printed top and socks paired with a sassy satin skirt, and you’ll be all ready to rule the galactic empire—comfortably, fashionably, and mercilessly. The costume comes with a full jumpsuit that has boot tops designed into the feet. It also has an attached chest piece and collar for a complete look. The black cape is also included as is the 3D belt. Of course, the final piece to this outfit is the injection molded mask, which makes your child look like the most deadly Sith Lord in the entire galaxy. 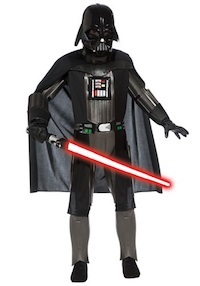 Click here to get the Star Wars Premium Kids Darth Vader costume. The dark side of the force, after all has a much more stable amount of income. The Jedi don’t really believe in wealth while the Sith decide to run an entire empire and build a house the size of a small moon. The original Darth Vader was taken down quite a few years ago so we also think it’s about time the classic mask came back in style. Darth Vader polyester jumpsuit that is printed with his iconic armor and has Velcro fasteners in the back for a comfortable fit. The jumpsuit also has attached boot tops with elastic that secures them underfoot. 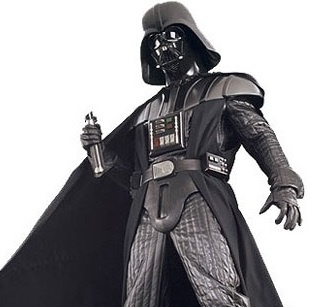 Now, Darth Vader wouldn’t be Darth Vader without his mask, so this officially licensed Star Wars costume comes with a hard plastic detachable mask that has breathing vents for comfort that lasts all night long. 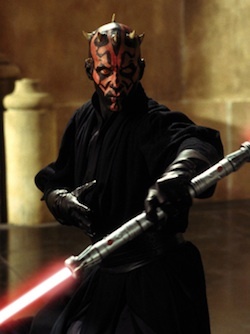 Add Darth Vader’s red lightsaber to the costume along with a pair of black boots for a look that looks like it walked right off of the Star Wars set! 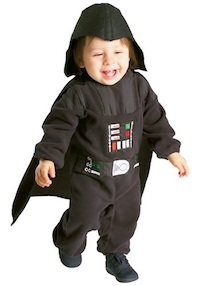 Click here to get child Darth Vader costume.